At the previous council meeting a heated trash debate took place. At yesterdays council meeting, Forest Green Waste Service was officially voted in as the new trash collection company. The Vote as 4 to 3. At the last meeting John Peckskamp from Forest Green Waste Services thanked Council for the opportunity to bid on the contract. He stated they read the specs thoroughly and saw it advertised and reacted to it with what they would consider a very good bid at a very competitive price. Forest Green Waste Service company specializes in residential and commercial waste removal, serving the Greater Cincinnati area since 1987. Additionally, they provide dumpsters for roof replacement, removing fire/flood damaged building materials, new or room addition construction. Also at the past council meeting, Mr. Brock stated that the City of Monroe accepted bids for Residential trash services and recycling on November 11, 2011; Forest Green Waste Services was the bidder that submitted a bid. We did not receive a bid from Rumpke and Waste Management submitted a no bid. In dispute was the quality of the new company's service. At the past meeting, Mr. Kelley said he got his facts off the internet, "...where you find more negative comments than positive." At the last council meeting of meeting Dean Ferrier of Rumpke admitted that" Rumpke dropped the ball." However there was some pressure put upon council by Rumpke owner Jeff Rumpke who was in attendance and had spoken to at least one councilman prior to the meeting. 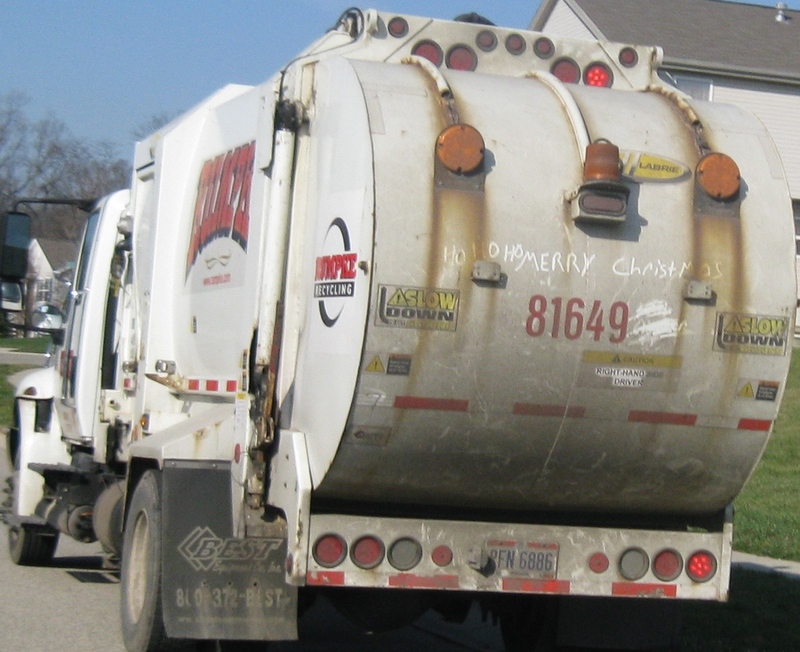 Rumpke has had the Monroe trash contract for the past five years. After the meeting, I asked Councilman Hickman about the vote, he said, "Since Forest Green submitted a satisfactory bid, within the bid period, we had to award Forest Green with the contract. It's the ethical thing to do." The close vote was a surprise. Had the vote gone the other way, the city would have to put the contract out to bid again. Putting a contract out for re-bid after a satisfactory bid had been submitted within the guidelines of the bid call in to question the bid process in general. Another potential lawsuit averted by 4 councilmen. Photo: John Peckskamp of Forest Green and Jeff Rumpke, Owner of Rumpke both signed in at last night's meeting. City Manager Bill Brock had predicted that representatives from both companies would be in attendance.